The award-winning musician has started a six-part series called Una Huna? What is this? following the adventures of a young Inuit girl. Celebrated musician Susan Aglukark is a Juno-award winning singer-songwriter, officer of the Order of Canada and a 2016 recipient of the Governor General's Lifetime Artistic Achievement Award. She's now published the first picture book in a planned six-part series called, Una Huna? What is This?, which follows a young Inuk girl named Ukpik. The series takes place around the late 1800s and early 1900s, as contact between Inuit communities and European traders began to grow in what is now known as Nunavut. Ukpik watches as small changes begin to impact her way of life and turns to her grandmother for support. Below, Aglukark shares why she was driven to write this book. "I started Ukpik's story 10 or more years ago. When it started, I was just exercising different forms of writing. I started her character because, as Inuit, we have access to some pretty stunning history. We've heard, respectively, all of the issues as Indigenous people, but there's also the flip side. There's some incredible moments in our history that I felt we should document as well. "Ukpik was created to paint that picture of that time. I decided to write this six-part series looking at how the Inuit camps were changing through the eyes of a child and the challenges and little lessons of coming to understand that the world's changing. 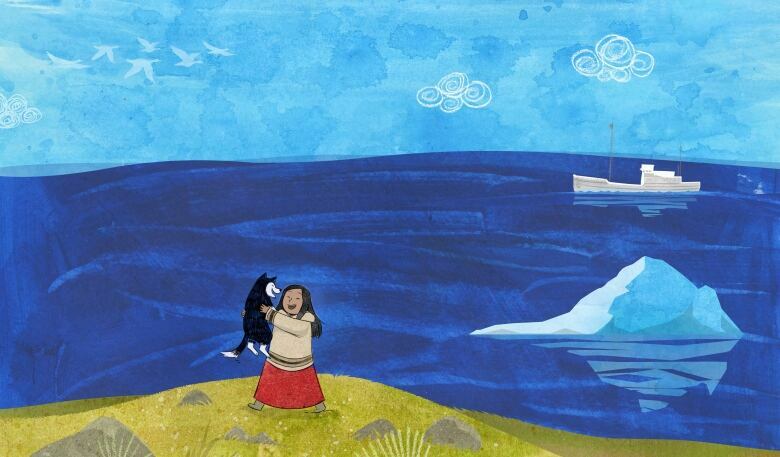 I wanted to share some of those moments with both Inuit and non-Inuit readers." "We're living in incredible times as Indigenous artists. I wanted to make my contribution a bit wider, a bit bigger. I have been doing a lot of reading up on our history as Inuit. As much as we know about our culture, we actually know very little and very little is in our education systems. The purpose of Ukpik and the other fact-based stories I've been writing is to contribute to the reconciliation conversation, which frankly hasn't kicked off yet. What we need to do is correct the narrative." "The story that I was exposed to in our communities was that [my grandparents] led lives of trauma and crisis, so I thought we always were trauma and crisis. But we had some incredible childhoods as well; it's not all this poor, sad story. I think a lot of us relate to this other story and we need to change that. We need to correct it to this incredible history of our ancestors and what they were able to do to make Inuit Nunavut our own, to make our life what it was in the Arctic and share that narrative. The more we understand how brilliant our ancestors were, I think the stronger we become as individuals and as people and as a culture." The more we understand how brilliant our ancestors were, I think the stronger we become as individuals and as people and as a culture. "My mother's side and father's side were from two different groups of Inuit, all from the Kivalliq region, the west coast of Hudson's Bay. My dad's people are from Chesterfield and my mom's are from inland Arviat. Their stories are similar in a lot of ways around the time communities were being placed in the permanent settlements. There was a starvation period that is often documented, but that wasn't always the case. "Throughout that starvation period — my great grandmother being part of this — there was still this incredible sense of self and pride in the images that we found. You can't help but realise that we owe it to her generation to write her story as best as we can. The story of that generation, who were the last to live the old way and then to be placed in permanent homes and settlements. On my dad's side, my great-great grandmother was a very strong and, from what I've learned of her, very connected in terms of her personal self and cultural spirituality. We have to honour all the ways of the Inuit in order to connect to the right and strong stories and ways of being." "We are so close to that history. We're literally one generation removed from that traditional way of being and it's still very strong in us. It's not hard to go back, which is why we have to we have to approach it with a sense of urgency. We still have access to that incredible generation of traditional Inuit. My parents formative years were traditional and so their soul and spirit is traditional. We can access that information, we still have access to that incredible stuff. Creating these stories and finding the facts told by the people, in the language of the people, communicated the way that they communicate — it's really exciting." Susan Aglukark's comments have been edited for length and clarity. 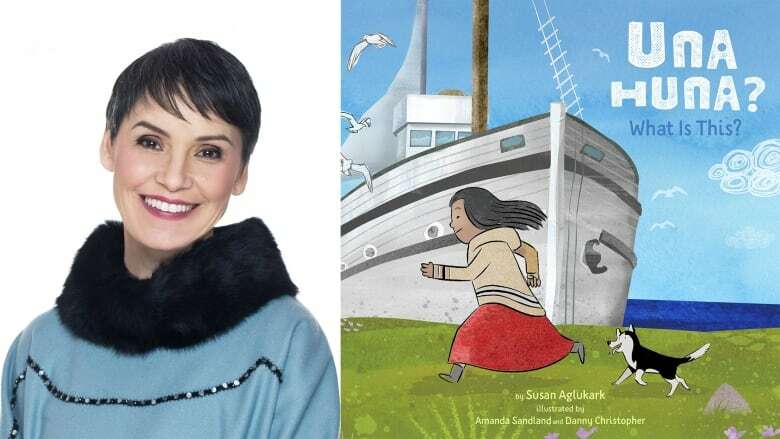 She's the first Inuk GG Performing Arts Award winner, but where was Susan Aglukark 25 years ago?